The excavation of King Herod’s tomb led to the discovery of a ring Israeli researchers believe belonged to the Roman prefect Pontius Pilate. The jewelry in question is made of copper alloy and was one of the multiple artifacts unearthed in 1968-1969 when archaeologists stumbled upon a palace and tomb section purportedly belonging to King Herod, the Biblical ruler at the time of Christ. Pilate went down in Christian lore as the Roman official who had Jesus crucified. Although the artifact was found in 1968-1969, its significance became known only this year when the discoveries were being cataloged. 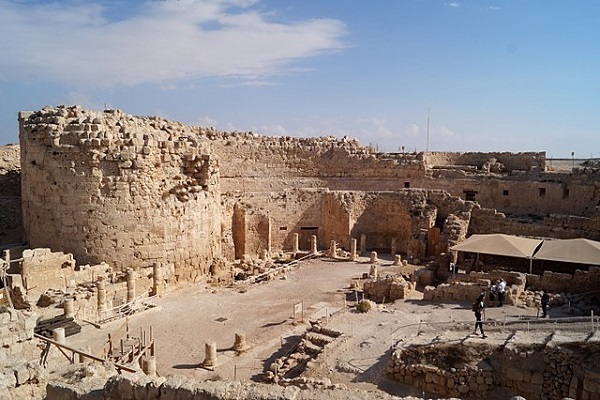 The excavation site was Herodium or Herodion, a place near Bethlehem in modern-day West Bank. Pilate administered the then Judaea province over a period of about 10 years, thought to be 26 to 36 CE. The site was excavated by Professor Gideon Prester of the Hebrew University of Jerusalem. The ring depicts a krater, a jar popular in classical Greece for diluting wine with water. The inscription of Pilate’s name is around the krater. Pilate was not a common name. The inscribed seal indicates cavalry status in Roman society, leading historians to believe that the ring really belonged to the Biblical Pontius Pilate. The ring served more than a decorative purpose. It was used for multiple official functions, like stamping documents and was given to court staff who would have presumably signed documents on behalf of Pilate. Archaeologists believe Pilate used Herodium as an administrative hub. The town and the fortress palace were conquered and subsequently destroyed by Romans during the revolt of the Jews in 70 CE.